Palm groves, lush vegetation, white beaches and an azure sea provide an idyllic setting for this exotic Quirimbas island destination. Ideal for honeymooners or families, Matemo offers a wide arrange of marine activities plus a fascinating insight into local culture. A perfect vista of endless white sand and translucent sea mesmerizes those who visit, whilst the untouched marine environment allows for constant new discoveries of Mozambique, whether diving, snorkelling, fishing, or exploring unspoilt beaches. 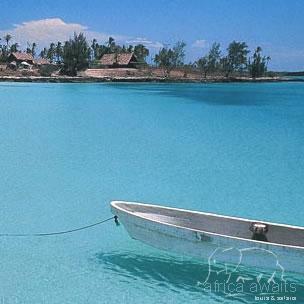 The tropical waters around Matemo are one of Mozambique's best-kept secrets. Here in clear waters that reach 30c in summer, you will discover a marine ecosystem that is absolutely pristine. In addition to private beaches and blissful surroundings, Matemo also cater for numerous activities including diving & snorkeling, fishing, water sports and cultural excursions. 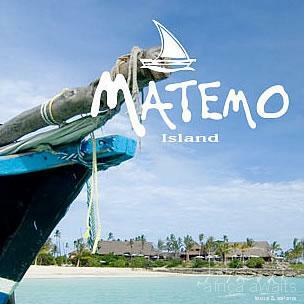 Matemo is a tropical island paradise. Each of the 24 palm-thatched, air-conditioned chalets is situated on the beach within metres of the sea and offers en-suite bathroom, outdoor shower, mini-bar and verandah - complete with hammock for watching the world go by. The central guest areas are elevated above the sea, perfect for sundowners whilst watching the Mozambique sun slip beneath the Indian Ocean. For stylish Quirimba beach living, you need look no further than Matemo's blend of understated luxury. Each chalet is beautifully appointed, with spacious en-suite bathrooms, outside showers and deck hammocks for lazing in whilst watching passing local Mozambique dhows and the gentle undulations of the sea. Every effort has been made to ensure that the beach chalets blend into the natural Quirimba Island surroundings, with local Mokuti palm roofs offset by glamorous touches such as local white marble, ornate carved doors from Zanzibar and rich furnishings and rugs from Dubai. 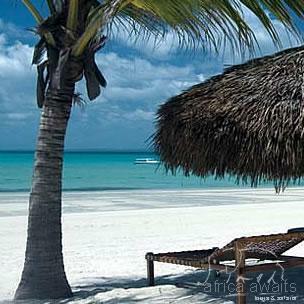 With your holiday, safari or business trip from in to Matemo Island in Mozambique.